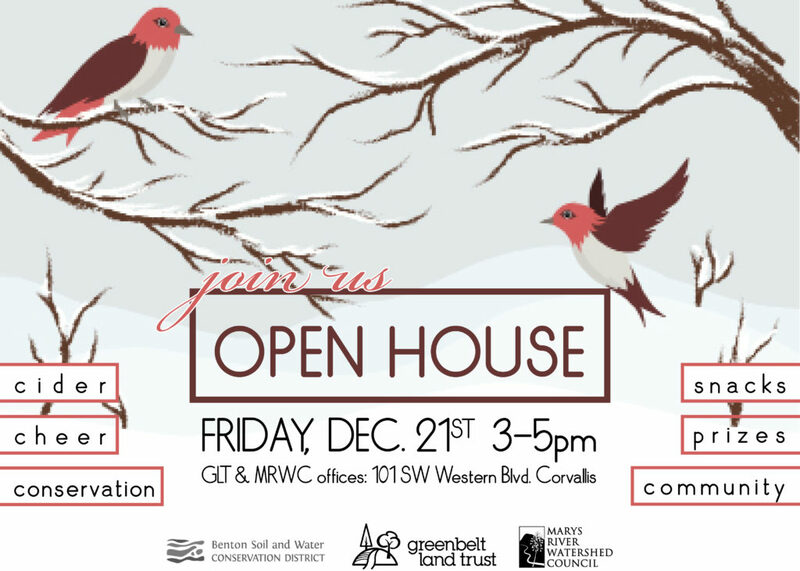 Join staff, volunteers, and friends for the annual conservation Open House hosted by Greenbelt and partners, Marys River Watershed Council and Benton Soil and Water Conservation District. Enjoy tasty food and drinks and see what projects and partnerships we have been working on this year! No RSVP required. All are welcome! Drop by or stay for the whole time at the Greenbelt’s office located at 101 SW Western Blvd., Corvallis. See you there!